The research was conducted by the market research firm Ipsos, which conducted the surveys in the US and the UK. The company was looking to identify attitudes in the two countries towards the movement of boycotting, divestment and sanctions (BDS), which is being implemented against Israel by certain sections of society who are angry at Israel’s unwillingness to discuss a two-state solution with Palestine. “For decades, Israel has denied Palestinians their fundamental rights of freedom, equality, and self-determination through ethnic cleansing, colonization, racial discrimination, and military occupation,” a statement on the BDS’ website read. 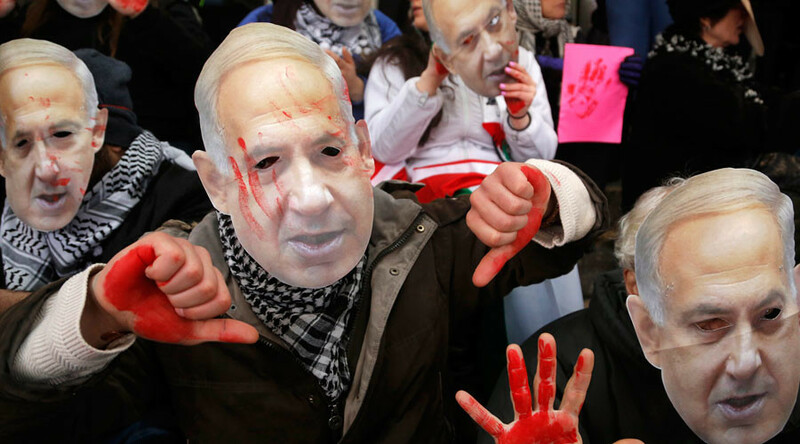 The poll, which sampled 1,100 people and was commissioned by the World Jewish Congress, showed that there was greater support towards Israel in the US, with those in the UK more likely to support sanctions against the country. 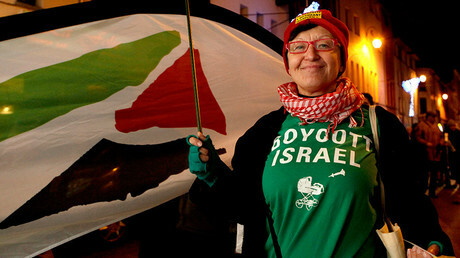 The survey showed that 33 percent of those in the US and 40 percent of Britons say that the BDS campaign against Israel is justified, but the number of people ready to actually support the campaign is lower in both countries – around a quarter in America and 33 percent in Britain. “BDS is continuing to spread and seeks to utilize international institutions to implement its ideology of hate,” said Israel’s ambassador to the UN ahead of a conference titled ‘Building Bridges, Not Boycotts’ which he hosted on Tuesday. However, when asked if they were pro-Israel or anti-Israel, 81 percent of Americans and 67 percent of Britons said they are pro-Israel, whereas 19 percent of Americans and 33 percent of Britons consider themselves anti-Israel. BDS has infuriated Israel, which has launched a campaign to get governments to crack down on local displays of support for the initiative. In February, under instructions from Prime Minister Benjamin Netanyahu, Foreign Minister Yair Lapid, the leader of the Yesh Atid party, reportedly phoned London Mayor Boris Johnson to tell him that the ad campaign launched by BDS on the London Underground would not be tolerated by the Israeli government. Johnson assured Lapid that the signs would be taken down. However, not all governments are caving in to Israeli pressure, with Dutch Foreign Minister Bert Koenders saying that BDS has the right to operate in the Netherlands. “Statements or meetings concerning BDS are protected by freedom of expression and freedom of assembly, as enshrined in the Dutch Constitution and the European Convention on Human Rights,” Koenders said. He stressed that his government still opposes any boycott against Israel, but that support for the BDS movement is a free speech issue and is therefore legal in the Netherlands.